The D8 All Things Digital conference got off to a good start with Apple CEO Steve Jobs being interviewed. 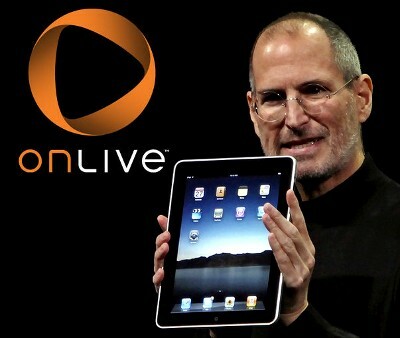 Today, cloud media streaming company OnLive demoed their remote gaming and movie service on the iPad. For those that aren’t familiar with OnLive, the service allows high quality streaming of, particularly, games that wouldn’t otherwise be able to run on the average users hardware. To put this in perspective, the OnLive team demoed action RPG “Borderlands” running smoothly on the iPad. This is a console game released on Xbox 360 and PlayStation 3 that the average user would have a hard time running on their PC. This could entirely change the caliber of games able to run on the iPad and may have potential on the iPad that many do not think it has within the console world. The OnLive service itself is set to launch in the US on June 15th and will cost $15 a month, not including the price of games. Previous Entry: Dell Streak Tablet Coming to the U.S. Unlocked and Affordable in July!